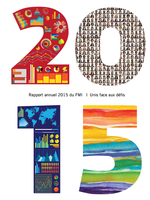 MEMOFIN - Rapport annuel 2014 de l'ESMA - L'information financière que vous ne trouvez nulle part ailleurs ! This year’s annual report reflects not only the diversity and volume of activities the European Securities and Markets Authority (ESMA) has participated in over 2014, but also that ESMA is maturing as an organisation. ESMA has achieved a lot in its first four years. It has a broad role with the objectives to protect investors and ensure orderly and stable financial markets. These are challenging objectives, resulting in a diversity and volume of activity that touches on nearly every area of EU securities markets. And we have met those challenges with success and this has been confirmed by positive external evaluations. In particular, the Commission’s review of the European System of Financial Supervision (ESFS) noted that ESMA had performed well, delivering against its mandates, building up the organisation needed to carry out its duties, and developing its public profile. It added that these achievements had also contributed to restoring confidence in, and to, the EU’s financial sector.